Sonya M. of New York! Many thanks to everyone who had contributed to the Rising Phoenix Fund. Readers may have noticed that we have extended our final deadline for the fundraiser, since we still have a couple of opportunities to raise money for the Fund. There is Tea & Revelry at the ModVic House coming October 8th, 2011 — with tickets still available! 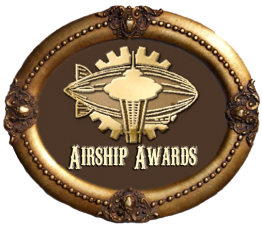 Bring your cameras & dress in your (multicultural steampunk) best! A photoshoot & social mixer for steampunk travelers from all walks of life. Debuted at Anime Boston, I’m now bringing back my panel about how one of the most popular steampunk animes address race relations. We’ll be covering the manga, the anime series Fullmetal Alchemist & FMA: Brotherhood, and the film Fullmetal Alchemist: the Conqueror of Shambala. Fundraiser for the Rising Phoenix Fund & 4NIC8 H8. Come and be enthralled by the made-up adventures of Baron von Lahey. Audiences get to vote for the best tales. Historical overview of the time period when the industrial revolution rocked Japan. Hosted by Steampunk Emma Goldman! If we can fantasize a better world, how can we use our imaginations to change it politically? A discussion about female characters in steampunk literature and media. Are women in steampunk “feminist” or “traditional” in accordance with Victorian social roles? How about in today’s lens? We’ll talk about how women are represented and portrayed on various steampunk books and films, and give advice about what makes a female character believable, whether she’s a sky pirate, a countess, or a chimney sweep. Next up will be New York Comic Con, where I will be there doing press for Tor.com. I’ll be walking the flooring, interviewing folks, and investigating panels. Hope to run into readers there!